"Trigonometry is a sine of the times." 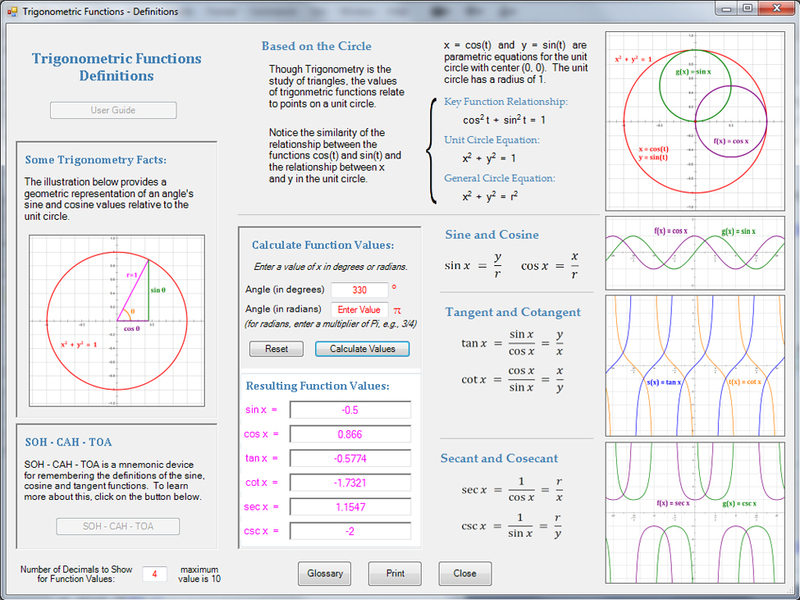 Currently, the Trigonometry app is not as far along as the other three apps and contains only the following capabilities at this time: definitions and values of trigonometric functions, graphs of trigonometric functions, the Unit Circle and Polar Coordinates. 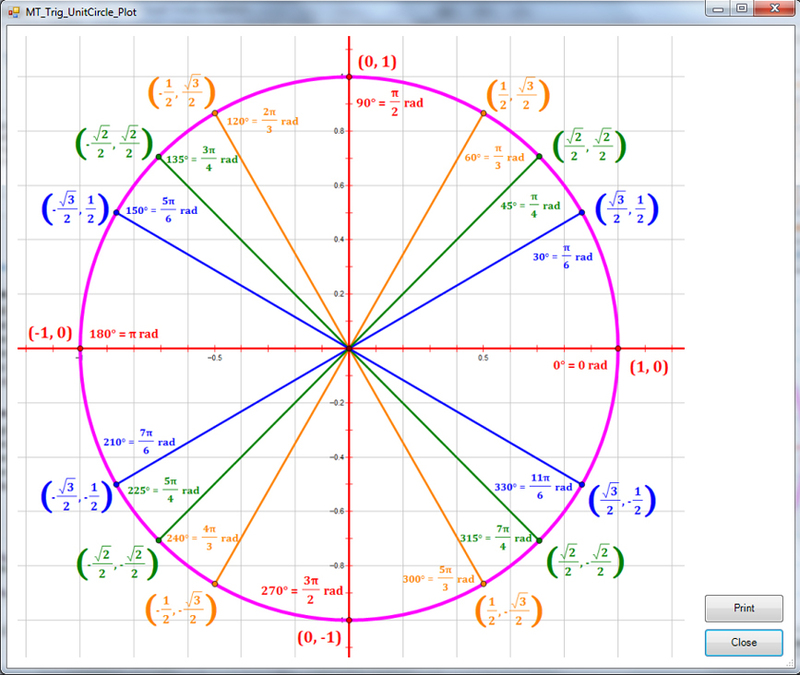 Upon completion, the app will also cover SOH-CAH-TOA, inverse trigonometric functions, oblique triangles, functions of two angles, trigonometric identities, trigonometric equations and vectors. 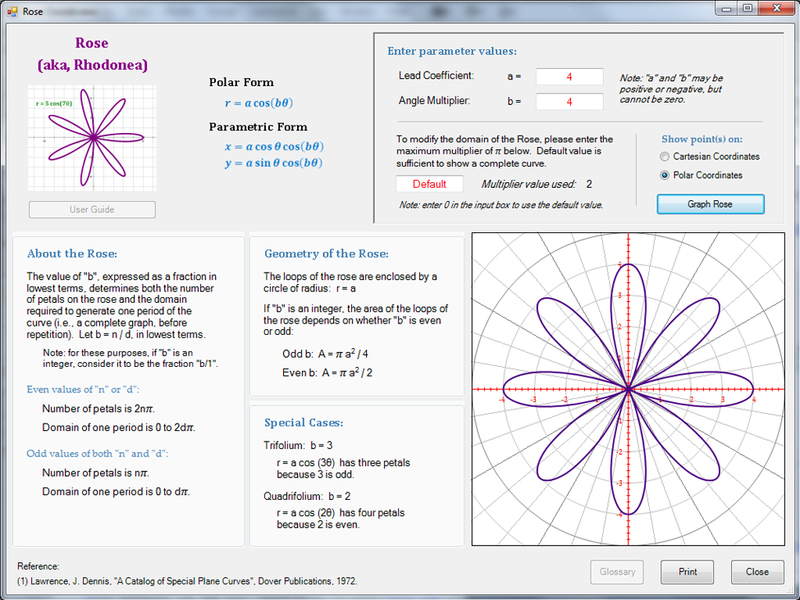 The app also contains a glossary of terms relating to Geometry and Trigonometry. 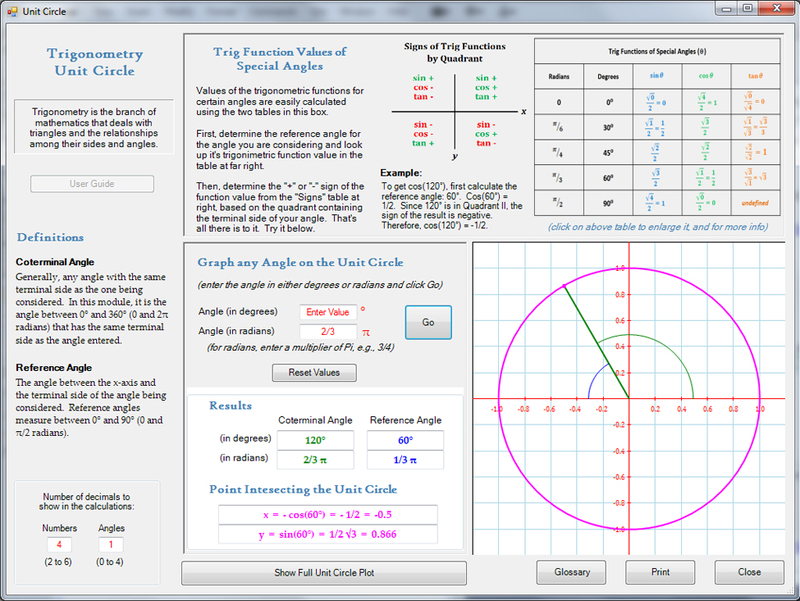 To download the app now, click here: Download the Trigonometry App version 0.7g. Below are some thumbnails that you can click to get a better idea of what the app can do.